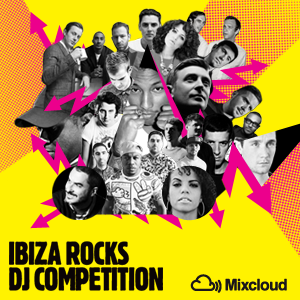 Ibiza Rocks 2014 DJ competition – The global community for audio culture. Do you fancy DJ-ing under the Balearic stars, on poolside decks graced by the likes of Skream, Zane Lowe, Annie Mac and Disclosure? If so Ibiza Rocks needs you! Ibiza Rocks has a history of bringing some of the freshest talent around to the Balearics every summer and with Haim, The 1975, Zane Lowe, Example, Redlight, Gorgon City, DJ EZ and Ms Dynamite already confirmed (with many more acts to be announced) 2014 will be our biggest series of shows yet. We’re looking for a DJ who can set the pace, hype the crowd and bring the party vibes. Whether it’s for a guitar-based band or a beat-driven DJ, you’ll have the confidence and the ability to blend your style on the mic and you’ll know your stuff when it comes to talking and playing all things indie and dance. Think you have what it takes? Enter now! Your mix should showcase music that you know would get a massive Rocks audience jumping. Think Zane Lowe, Annie Mac and Doorly. A diverse knowledge from Indie, Rock and Hip Hop to commercial and more underground sounds of electronic music are a prerequisite. Upload a mix of no more than 30 minutes on Mixcloud. Title the mix Rocks 2014 DJ Competition and add your tracklist. Tag the mix “Rocks 2014 DJ Competition“. Don’t forget to include an accurate track list.